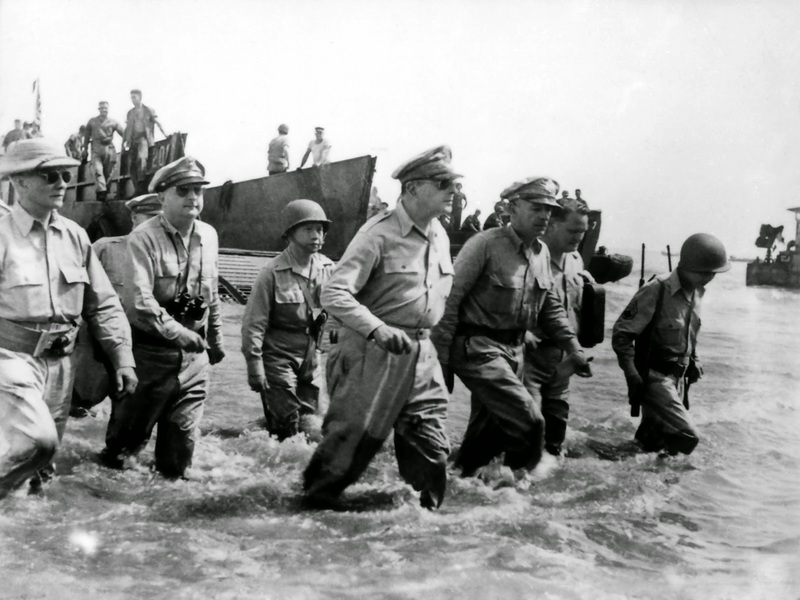 Whatever you may think of Douglas MacArthur, his return to the Philippine Islands in 1944 was a major event in the history of WWII. Sgt Major Miniatures makes a set of 20mm figures (MAC1) that commemorates this moment. 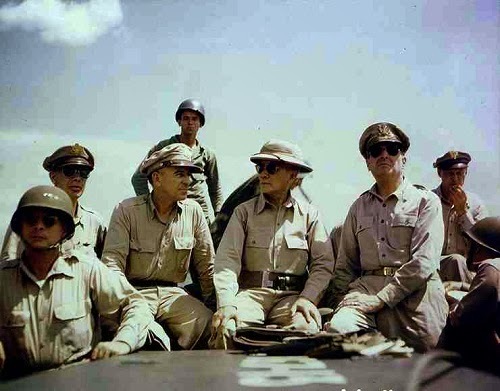 The figures from left to right, represent Major General Courtney Whitney, General Douglas MacArthur, Lieutenant General Richard Sutherland, a photographer with a Speed Graphic camera, and a war correspondent. I don't think that any of these figures are represented elsewhere in the 1/72 world. 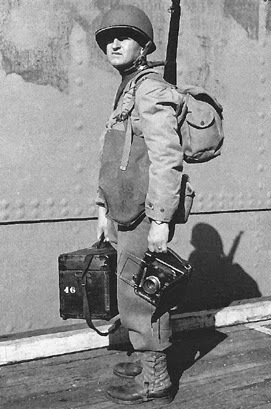 I'm not sure if the photographer is supposed to be Gaetano Faillace who took the iconic photo of the landing, or just a generic photographer, but the sculpt bears a slight resemblance to Carl Mydans who took a similar photo at a later date. The identity of the reporter also remains mysterious. It doesn't seem to be William Dunn, but only the sculptor knows for sure. The sculpts are a bit on the rough side, but I was pretty much able to determine who was who, so they get a pass from me. The photographer did not have any straps sculpted on his backpack, so I just carved some lines in with a hobby knife. To make the figures 1/72 compatible, I performed my patented height extension surgery on them. I'd say their proportions look better in 1/72 than they do at 20mm. 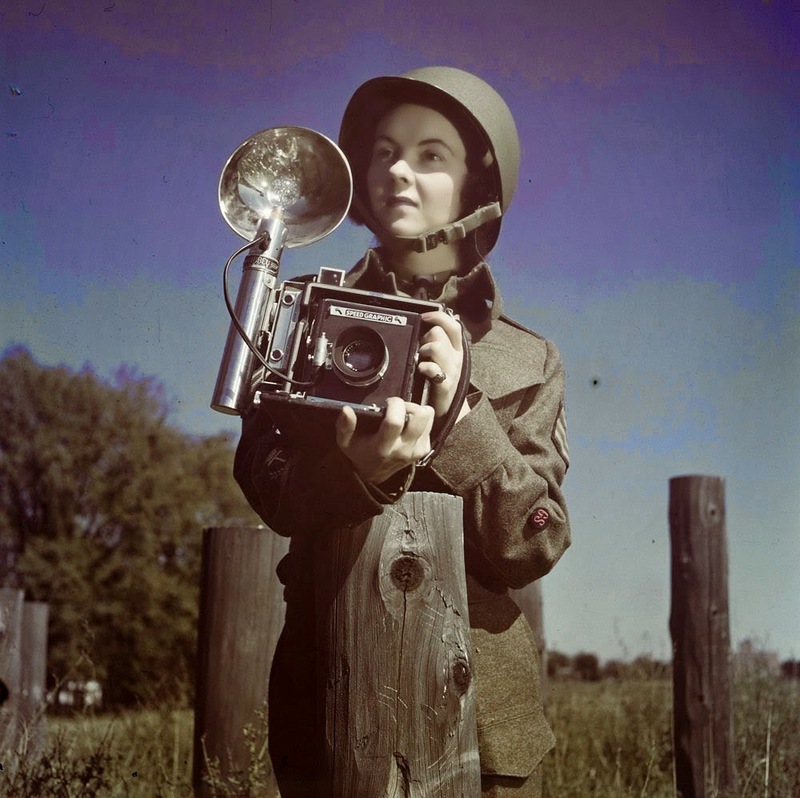 The generals and reporter will be painted in khaki, but I'm not sure about the photographer. The way he's outfitted really makes me think that he should be in olive drab.